Planting Pansies and Bulbs the Easy Way. – Johntheplantman's stories, musings, and gardening. Planting Pansies and Bulbs the Easy Way. Posted byJohn P.Schulz	 November 18, 2012 May 26, 2014 1 Comment on Planting Pansies and Bulbs the Easy Way. My new bedding plant digging tool. The drill is for scale. I don’t remember what I paid for this auger. 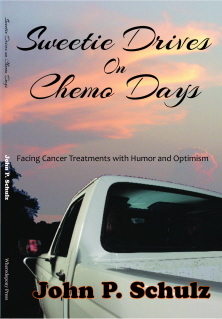 I probably wouldn’t have spent any more than $12.99 for it knowing me, but when I looked the item up on the web to find a link for my readers, I found it listed at astounding prices—Amazon had it at around triple the $12.99—so be careful if you look for this on line. Anyway, I went to Lowe’s this morning to look again and I wasn’t able to find the item at all so if you want one, you will have to look around. I had some beautiful pansies that were left over from a couple of jobs and I didn’t mind hiring a little help with leaf removal. I’ll bet you can imagine what the leaves look like on Oakwood Street. 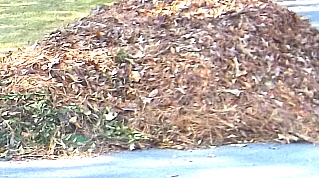 There are piles and piles. 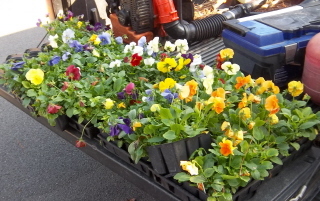 available pansies on the pick up truck tailgate. 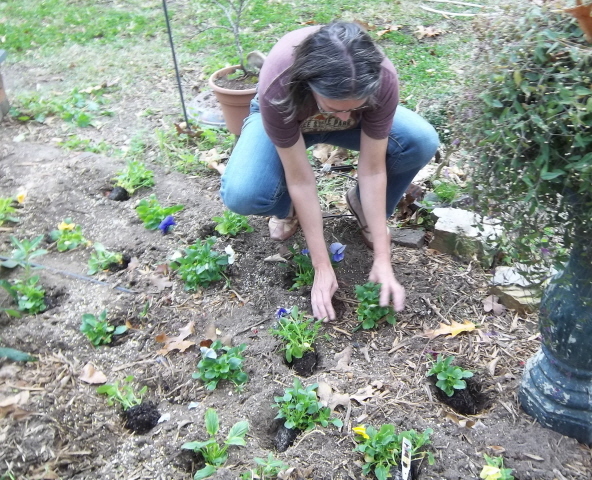 The big problem with planting the flowers is that with a bum right arm, I have trouble getting up and down. I was tickled with myself when I started drilling holes with my new tool (Oookay, ladies, “toy”). The more I think about it, too, the auger seems to also make a better hole for the plants and the excavated dirt is piled up right beside the hole ready to go back in around the roots. So I drilled holes everywhere I thought a plant should be. The auger seemed to help with spacing. 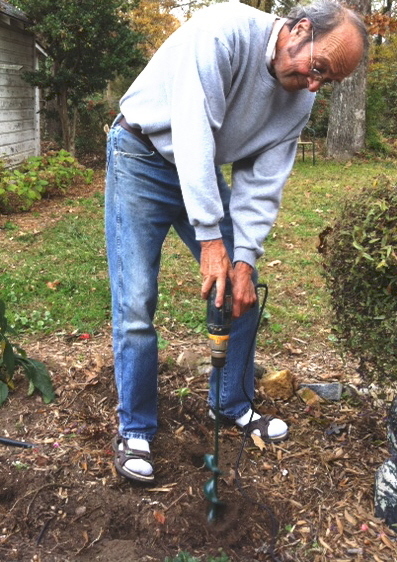 using an auger to dig holes for pansies. 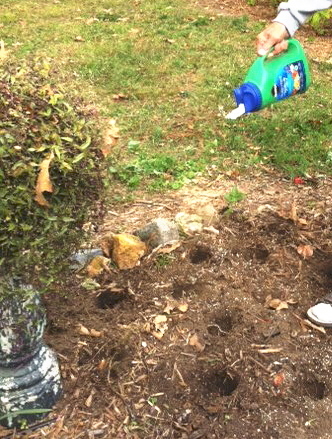 With the holes dug, it was very easy to dump just the right amount of time release fertilizer in each one. Time release fertilizer in every hole. 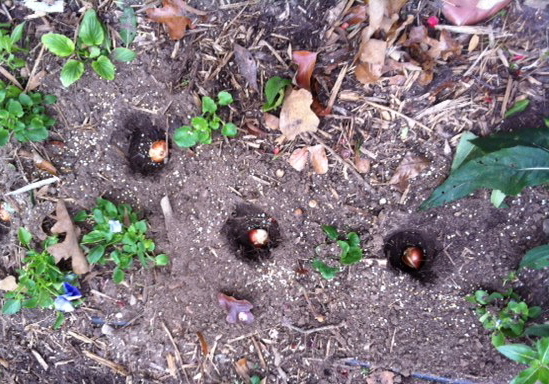 I had fun liberating the well-rooted plants from the six packs and dropping them in the holes. This job was getting easier and easier. dropping the plants in the holes. The next part of the job that I had to figure out how to do without getting down on my knees was to get the plants actually planted with the soil firmed in around the roots. I mustered up a smile and then asked my sweet wife to help with this job. Bless her heart, she got down there and did a beautiful job. I decided not to charge her for allowing her to help. When Dekie finished the planting, she looked at me and said, “Don’t put that thing away, I’ll be right back.” She headed for the front porch to get some tulip bulbs that had been sitting there waiting. 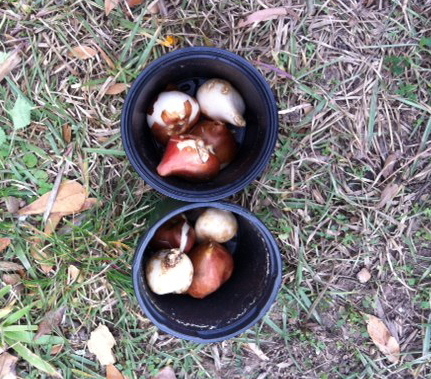 tulip bulbs to go among the pansies. That’s when I found out what this here auger was made for. It digs absolutely perfect holes for planting bulbs. 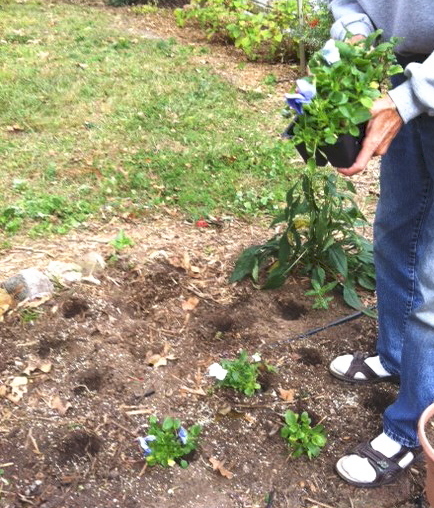 We dug holes like prepositions—over under around and through the pansy plants (well, leave out the over and under part) and then we dropped the bulb fertilizer and the bulbs right in there. 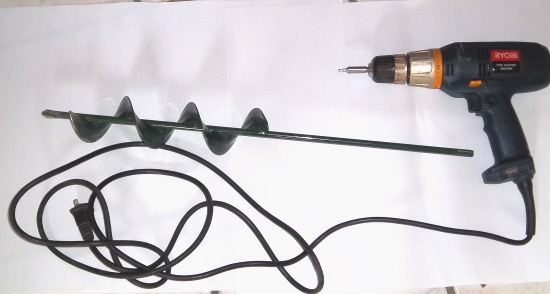 I don’t happen to possess a stout battery operated drill at the moment, so I used my plug in model which performed very well with the auger. A battery powered drill would be very nice, but I think it would have to be a strong one. Anyway, I intend to get a lot of use out of this auger as time goes by. If you plant a lot of bedding plants and/or bulbs, I would recommend purchasing one. Here’s a picture of the hanger label that came with it. I have always wondered about these little augers, but have never known anyone that has bought one for feedback. Sometimes if it seems like too good an idea I usually pass on making those types of purchases. I’ll be buying a few of these. They appear to be available at Lowes online and in some stores for about $15, item number 109435. 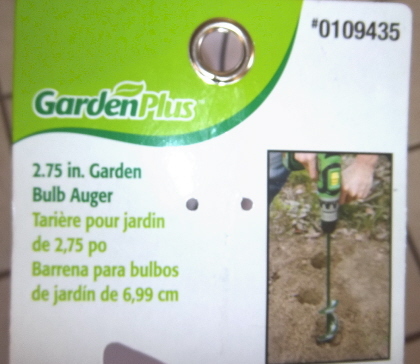 Also there are several available at The Home Depot just do a search on their page for ” bulb auger ” prices range from $13 to $25. They may be seasonal items at many retailers.